The Blackberry Curve 8900 is a very stylish phone with a sleek new twist on the classic style. This smartphone is supposed to be the thinnest and lightest full QWERTY blackberry smartphone. You can keep your finger on the pulse doing what is important to you with the BlackBerry Curve 8900 smartphone. It has a striking 480×360 pixel screen that offers crisp on-the-go video, images, text, maps and more. With a totally refined design, the BlackBerry Curve 8900 smartphone is an easy-to-use device that delivers expanded functionality and reliable results. The Blackberry Curve 8900 has some amazing features. It has a height of 109 mm, width of 60 mm and depth of 13.5 mm. It weighs around 3.87 ounces. It has a high resolution display which has 480 x 360 pixels. The BlackBerry Curve 8900 smartphone offers crisp images, text and even maps, so, information is easier to read, even when you’re on the go. The display is amazing because of the vivid color the screen projects when you’re browsing the Internet and playing games or watching your favorite video. 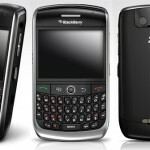 The Blackberry Curve 8900 has a 3.2 megapixels camera that can take sharp, print-quality pictures. Even if you’re not a natural at photography, you can rely on auto focus, auto flash and image stabilization to help you capture your precious moments. When an event cannot be captured within an instant, you can use sound and action to help tell the story using the video camera. Then share it in an email or picture message with all your loved ones. It also has a built in media player to play your songs and videos. With the internet access, you can also record videos and it supports mobile streaming. Thus, it’s like taking the entire entertainment center every time you leave your house. You can also use a Wi-Fi network to check email, shop online, stream videos and music or even make phone calls. Wireless home networks and public hotspots can give you access to all of your BlackBerry services. It’s easy to set up Wi-Fi networks on the BlackBerry Curve 8900 smartphone and switching back and forth to your carrier service can be seamless. The smartphone also helps you finding your way or the nearest coffee shop or any other place you want to go by using the built-in GPS. This Blackberry smartphone is designed to work with BlackBerry Maps and other location-based software, to help you figure out where you are and how to get to where you need to be. 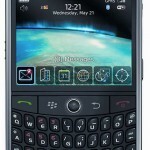 Thus, the Blackberry Curve 8900 is an amazing smartphone that combines both style and performance. Hence, if you are looking for a stylish phone with elegance and efficiency, then the Blackberry Curve 8900 would be the best choice!